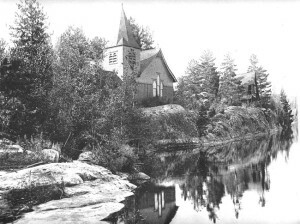 To encourage families to purchase his new Adirondack camps and to provide a center for community life, William West Durant built the Episcopal Mission of the Good Shepherd in 1880 and St. William’s Roman Catholic Church on Long Point in 1890. 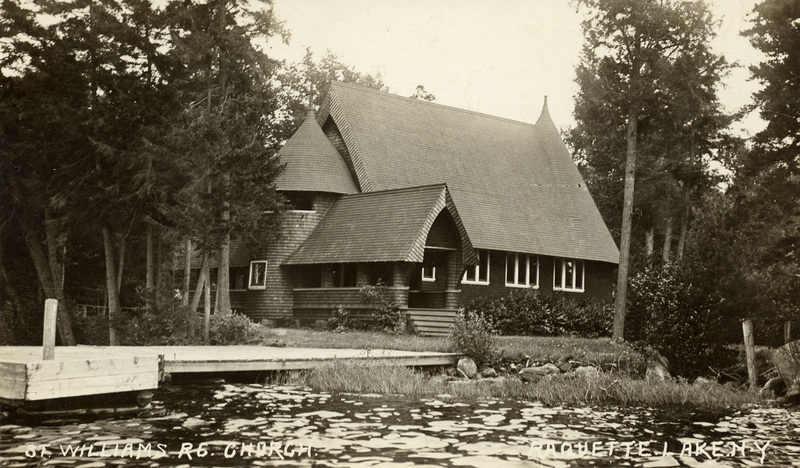 Each church was dedicated to the people of Raquette Lake. Both churches were designed by the firm of Josiah Cleveland Cady, architect of the original Metropolitan Opera House in New York City. Good Shepherd was designed in the “stick” style and St. William’s in the “shingle” style. 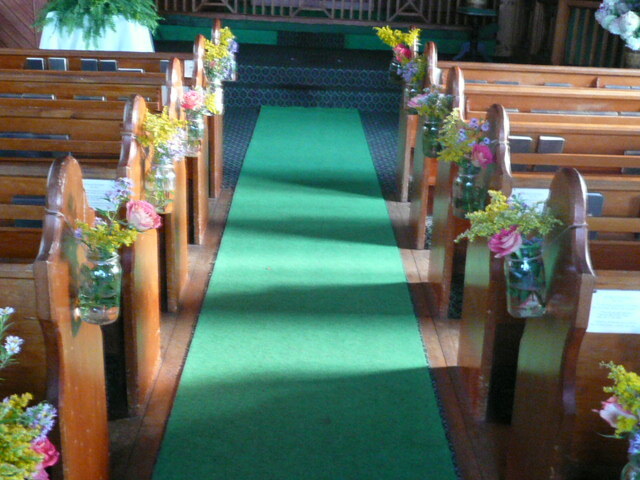 In 1881 Good Shepherd, under its first priest, the Rev. Montgomery H. Throop II, founded the Mission of the Transfiguration in Blue Mountain Lake. The present structure was dedicated in 1885. 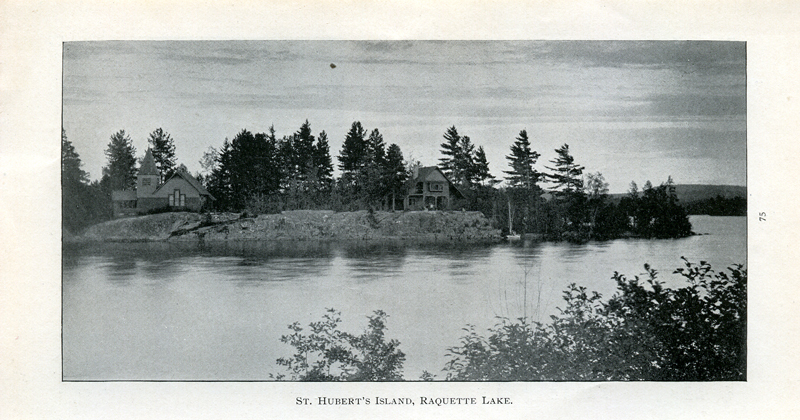 Originally known as Bluff Island, St. Hubert’s was sold in 1879 for $1 to the Diocese of Albany by William K. and Sarah Mead of Philadelphia and immediately renamed in honor of the patron saint of hunters. 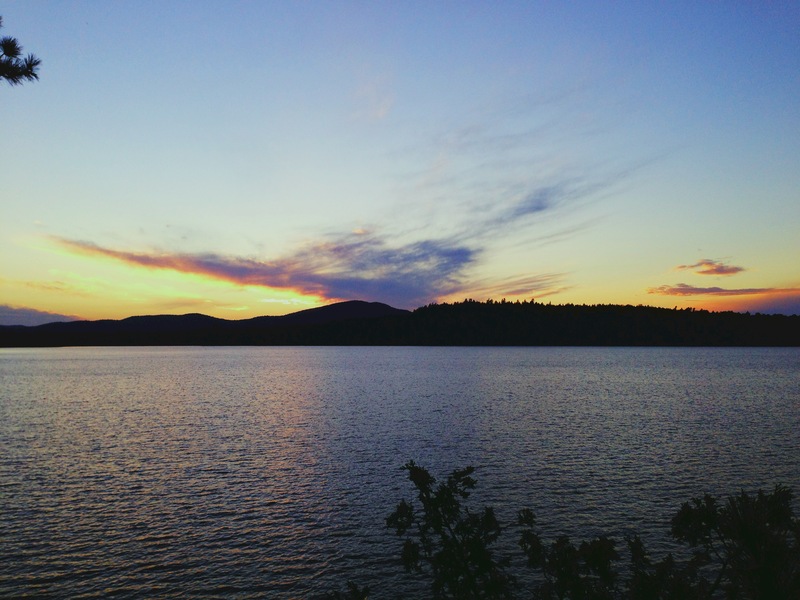 The location was perfect – directly across the bay from the fledgling community of Raquette Lake on Long Point. 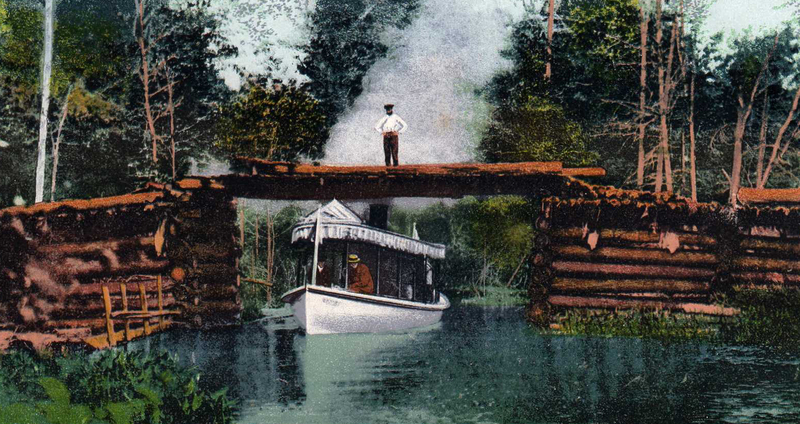 But in 1900, when the 18-mile NY Central Railway spur from Clearwater was near completion, William Durant moved the Post Office to its present site, the terminus of the new railroad. The General Store soon followed. 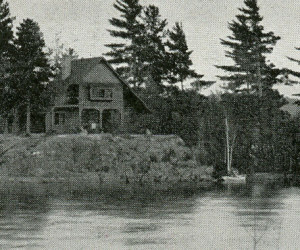 In 1904 Durant left the Adirondacks rarely to return, and the spot on the map labeled “Durant Station & Post Office” became known as the hamlet of Raquette Lake. After the 1914 fire destroyed the old rectory, Stanley Brown-Serman designed the present one in 1918, save for the interior stairway. 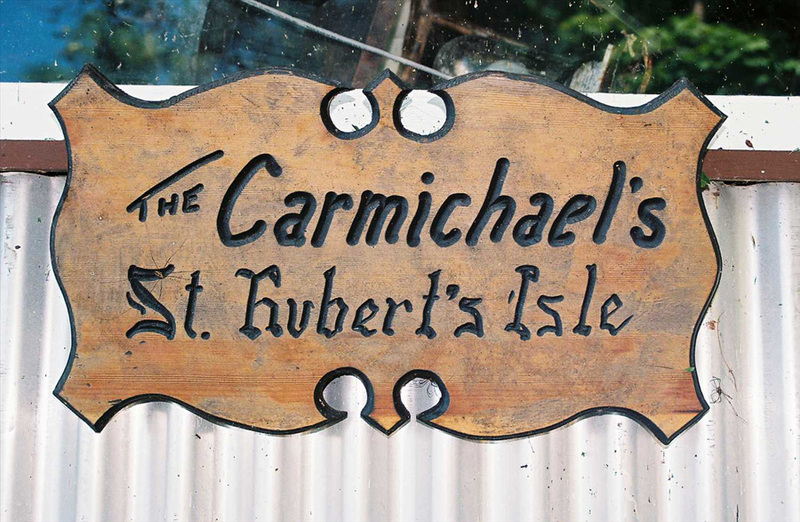 Lumber was shipped to Merlin Austin at Hunters’ Rest, then across to the island. Stanley’s father, William, absorbed about 3/4 of the building expense. (Glens Falls, NY. 1881) 122. (Glens Falls, NY. 1889) 204. 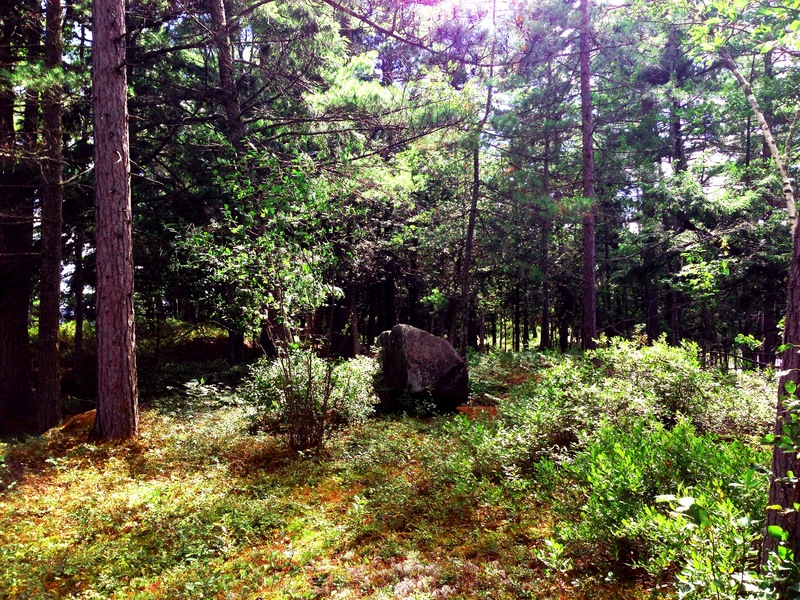 Adirondack Poems, St. Hubert’s Isle, Number One. 123-124. Vol. I. (Albany State Printer: James B. Lyon. 1894) 259. (New York: Century Printer. 1921) 94. Aber, Ted and Stella King. The History of Hamilton County. Lake Pleasant, New York: Great Wilderness Books, 1965. Adler, Jeanne Winston. 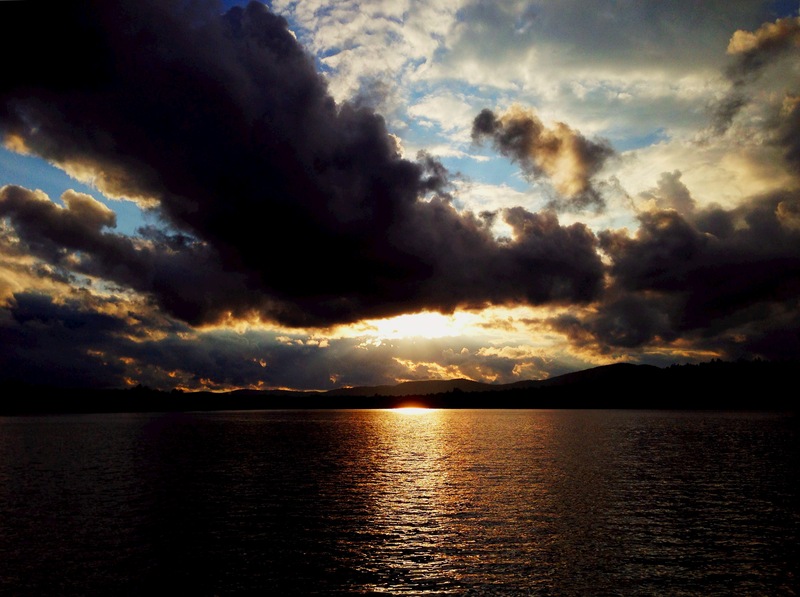 Early Days in the Adirondacks: The Photographs of Seneca Ray Stoddard. New York: Harry N. Abrams, Inc., 1997. Allen, Richard Sanders. “The Carry Railroad.” York State Tradition, 1965. Bogdan, Robert. Adirondack Vernacular: The Photography of Henry M. Beach. Syracuse, New York: Syracuse University Press, 2003. _____. Exposing the Wilderness: Early-Twentieth-Century Adirondack Postcard Photographers. Syracuse, New York: Syracuse University Press, 1999. Brown-Serman, William. 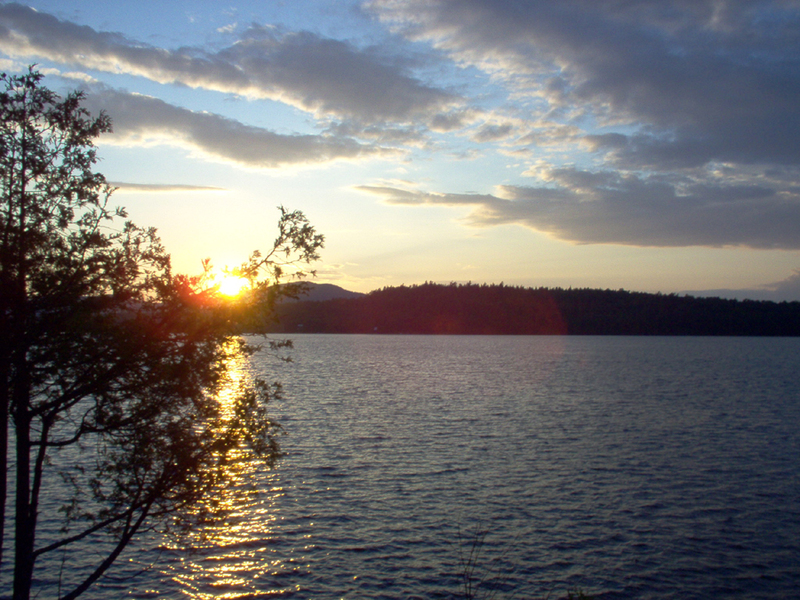 “A Mountain-Lake Idyl: Raquette Lake – St. Hubert’s Isle – The Adirondacks.” Four-Track News IX (July 1905): 20-23. Colvin, Verplanck. 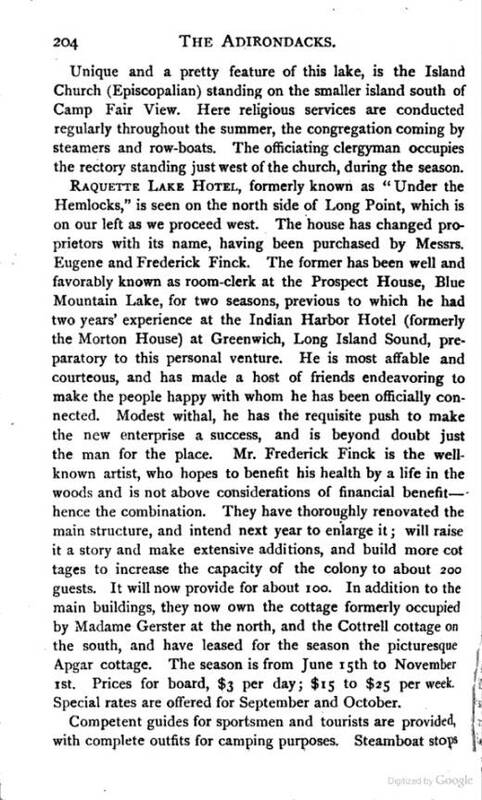 Annual Report of the Superintendent of the Adirondack Survey to the Year 1879, Third to Seventh Reports. Albany State Printer: James B. Lyon, 1881. 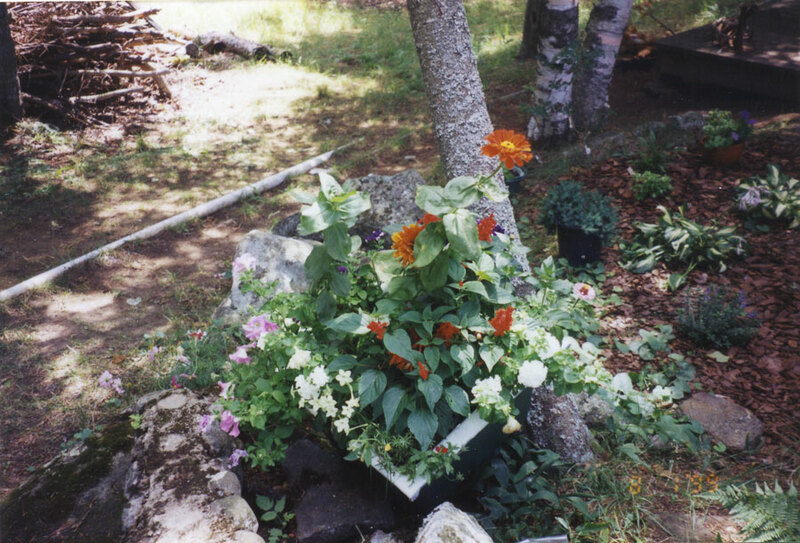 Curran, Kathleen A. A Forgotten Architect of the Gilded Age: Josiah Cleaveland Cady’s Legacy. Hartford, Connecticut: Trinity College, 1993. 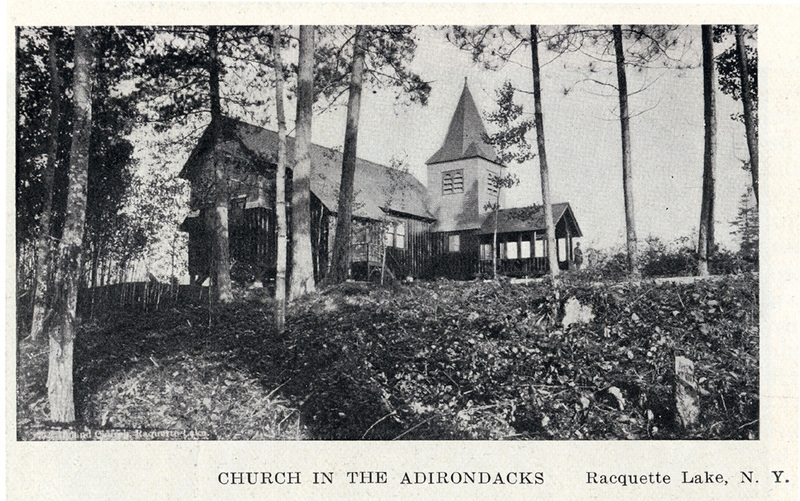 Donaldson, Alfred L. A History of the Adirondacks. 2 vols., Fleischmanns, New York: Purple Mountain Press, Inc., 1996. Paperback reprint of 1921 edition. Durant, Kenneth, ed. Guide-Boat Days and Ways, Blue Mountain Lake, New York: Adirondack Museum, 1963. Fynmore, Jim. 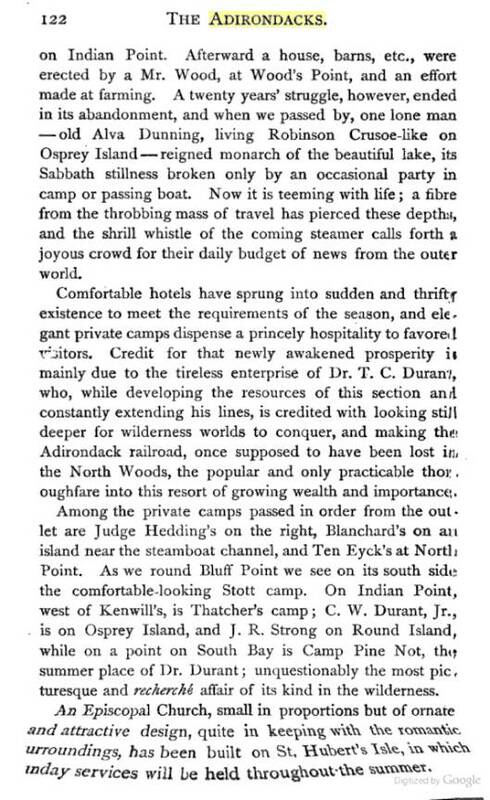 “Relics of 1890 Travel in the Central Adirondacks.” North Country Life, Fall 1957, 36-41. Flagg, The Rev. Edward Octavus. Earlier and Later Poems, New York: Thomas Whittaker, 1890, 1906. Gilborn, Craig. Durant: The Fortunes and Woodland Camps of a Family in the Adirondacks. Sylvan Beach, New York: North Country Books, 1981. Hochschild, Harold K. Adirondack Railroads: Real and Phantom. 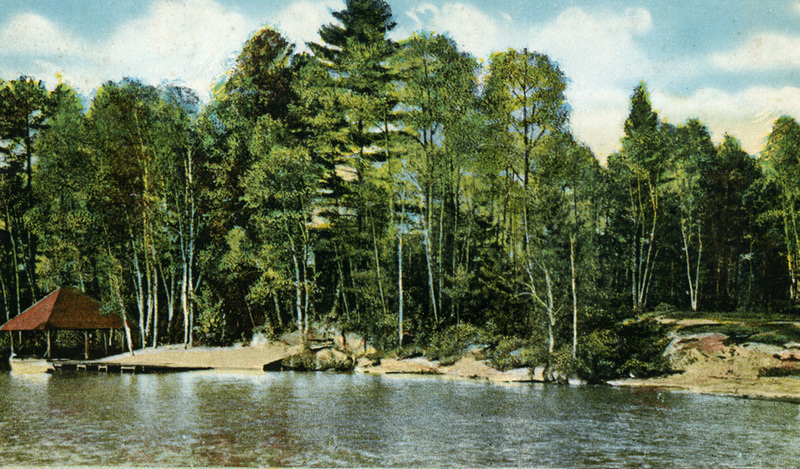 Blue Mountain Lake, New York: Adirondack Museum, 1962. _____. 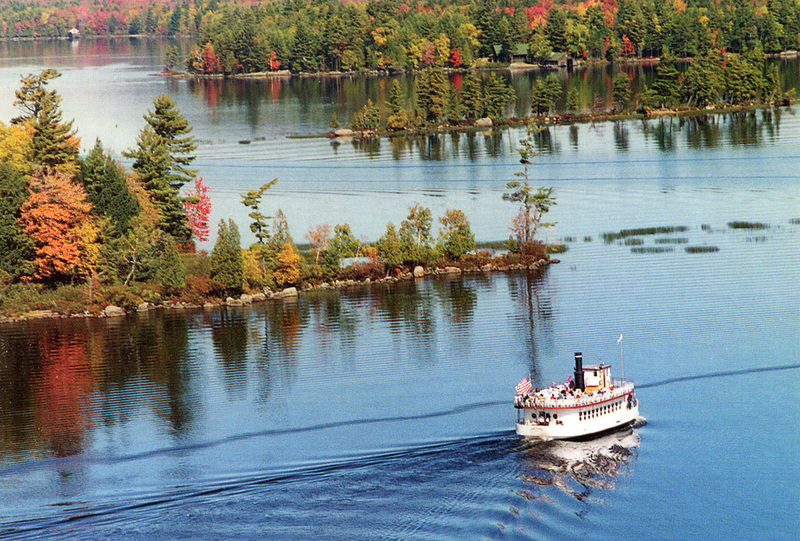 Adirondack Steamboats on Raquette and Blue Mountain Lakes. Blue Mountain Lake, New York: Adirondack Museum, 1962. _____. 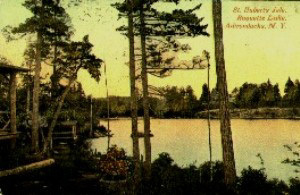 An Adirondack Resort in the Nineteenth Century, Blue Mountain Lake, 1870-1900: Stagecoaches and Luxury Hotels. Blue Mountain Lake, New York: Adirondack Museum, 1962. _____. Doctor Durant and His Iron Horse. Blue Mountain Lake, New York: Adirondack Museum, 1962. 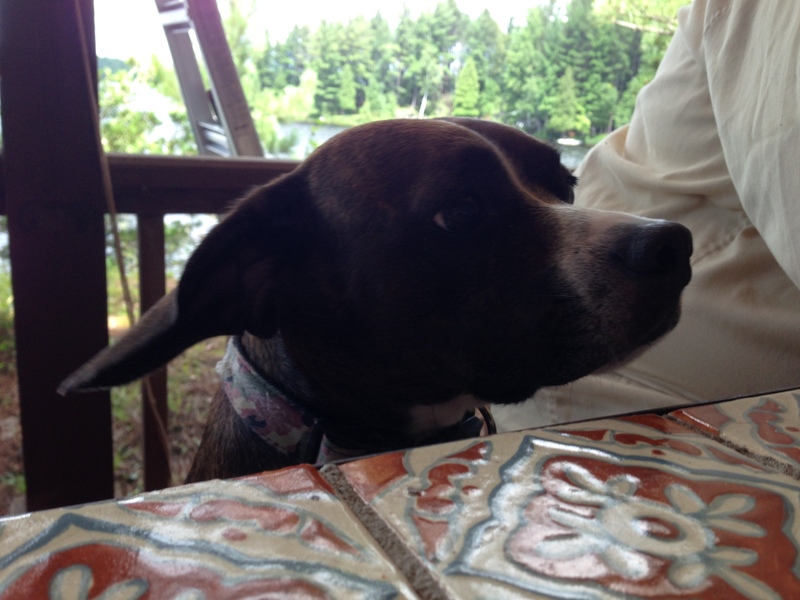 Kammer, James M. Around Raquette Lake. Charleston, South Carolina: Arcadia Publishing, 2007. Kirschenbaum, Howard. 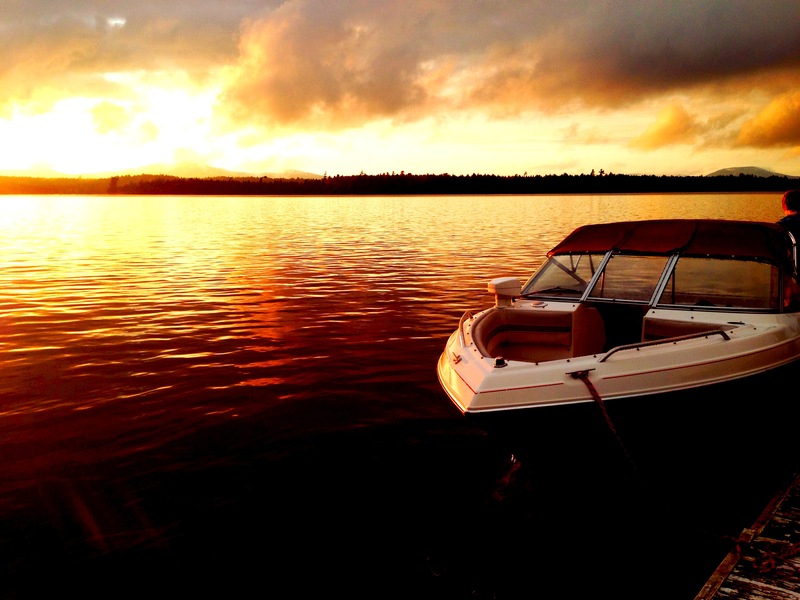 The Story of Sagamore. 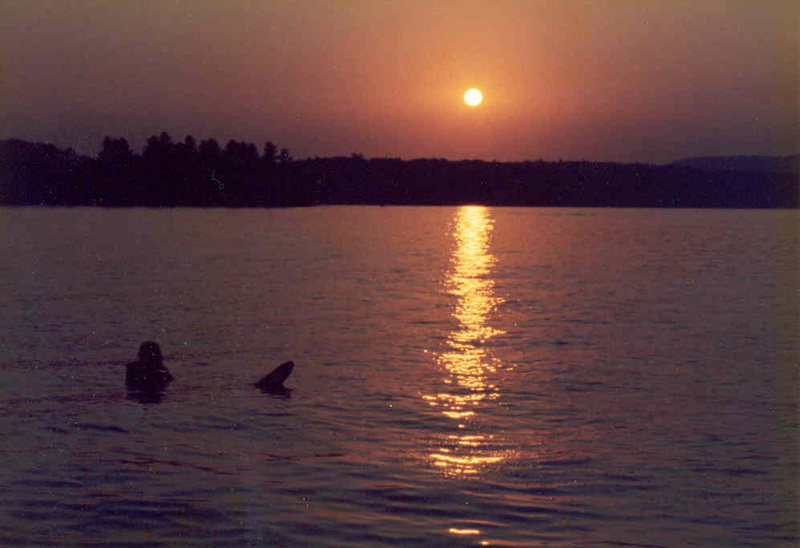 Raquette Lake, New York: Sagamore Institute, 1990. Manual of Excursions, Fares, Hotels and Boarding Houses. New York: Delaware and Hudson Railroad, 1900. pp. 73-76. Murray, William H. H. Adventures in the Wilderness; Or Camp-Life in the Adirondacks. Boston: Fields, Osgood, & Co., 1869. Schuyler, Montgomery. “The Works of Cady, Berg & See.” The Architectural Record VI (July 1896-June 1897): pp. 516-553. Sears, George Washington. 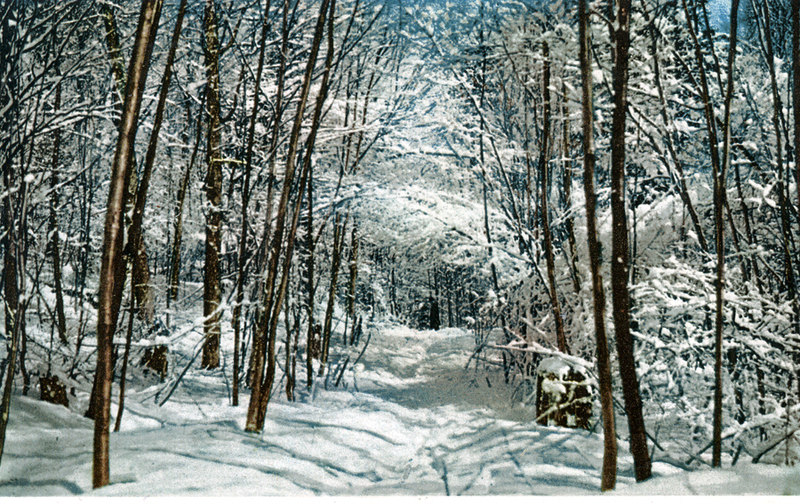 “Nessmuk’s Adirondack Letters,” Forest and Stream, 1880. [Online] Available HTTP: http://robroy.dyndns.info/books/gws/N1E.HTM. [March 2006]. State of New York Annual Report of the Forest Commission for 1893. Vol. 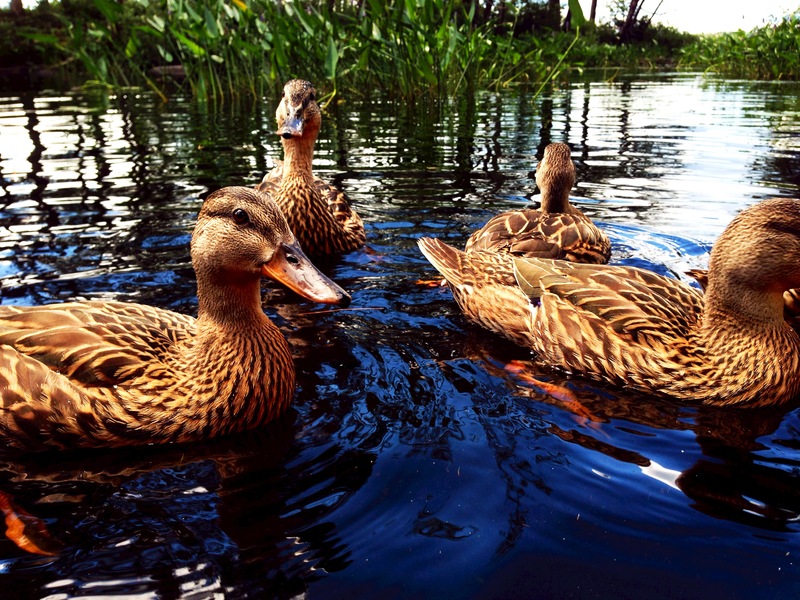 I Albany State Printer: James B. Lyon. 1894. Stoddard, Seneca Ray. The Adirondacks: Illustrated 1881. Glens Falls, New York: self-published, 1881. 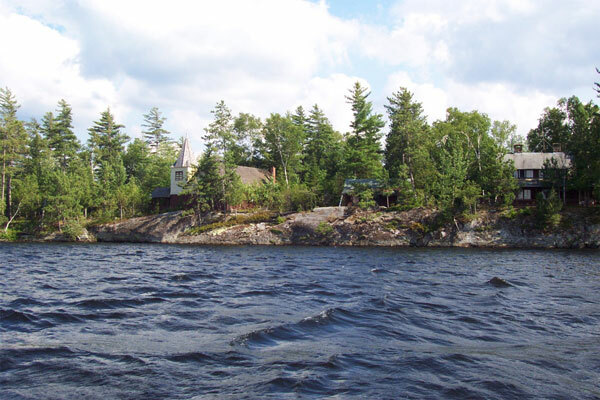 [Online] Available HTTP: http://books.google.com/books?vid=OCLC11630372&id=A17IVbaKossC&pg=RA10-PA233&lpg=RA10-PA233&dq=s+r+stoddard+adirondacks#PRA9-PA122,M1. [February 2007]. _____. 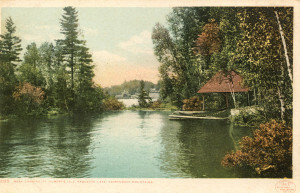 The Adirondacks: Illustrated 1889. Glens Falls, New York: self-published, 1889. [Online] Available HTTP: http://books.google.com/books?vid=OCLC58671486&id=_l67GPS9DV0C&pg=RA15-PA222&lpg=RA15-PA222&dq=s+r+stoddard+adirondacks#PRA10-PA195,M1. [February 2007]. Taylor, Frank Hamilton. Birch Bark from the Adirondacks: or from City to Trail. New York: Adirondack Railway Company: Liberty Printing Co., 1886-87-88. Timm, Ruth. 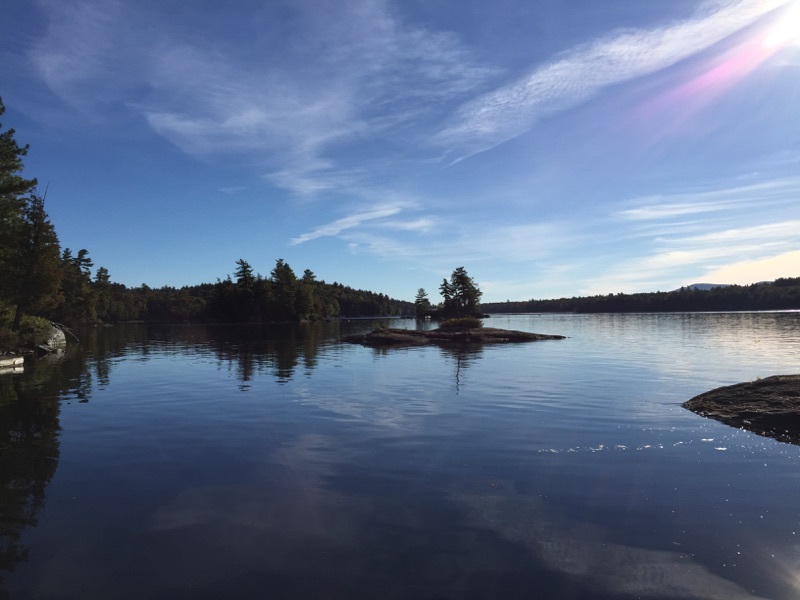 Raquette Lake: A Time to Remember. Utica, New York: North Country Books, Inc., 1989. Wallace, E.R. 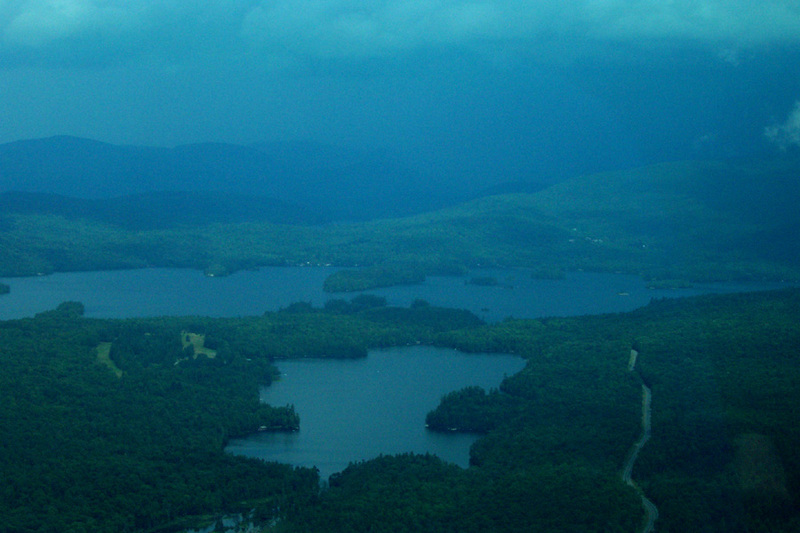 Descriptive Guide to the Adirondacks. Syracuse, New York: Watson Gill, Bible Publishing House, 1889. [Online] Available HTTP: http://books.google.com/books?id=X9-GODPjAS8C&printsec=titlepage [June 2007]. _____. 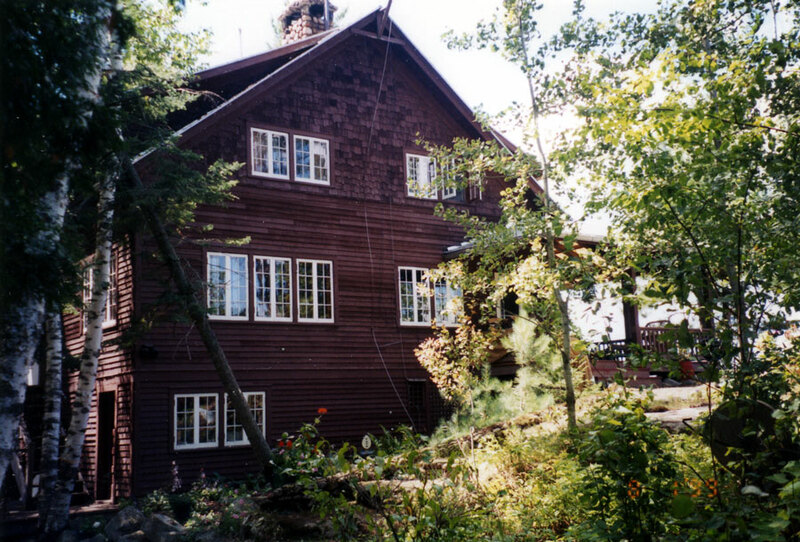 The Story of An Inn: From the Blue Mountain Inn to the Adirondack Museum.